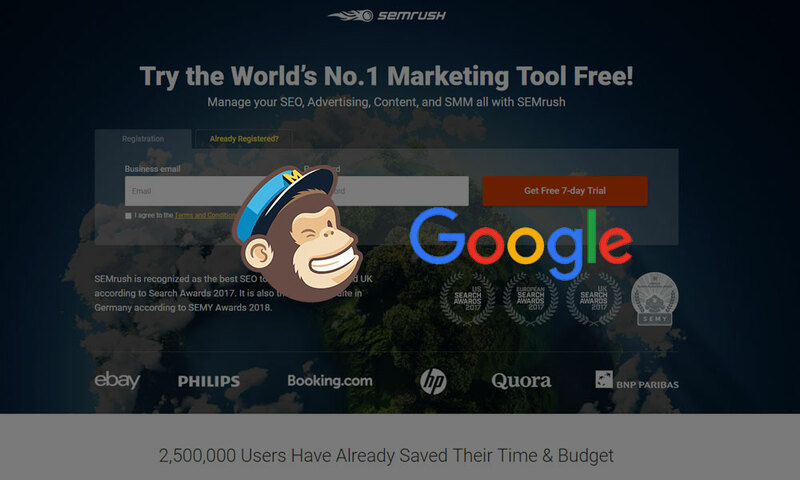 Here is the list of top 10 digital marketing certificates online & courses that you take in your free time or schedule as per your suitable timing direct from your home. These certificates are popular, some are free & some are paid also but all certificates are equally valuable & internationally accepted. Being a certified professional is much better for a job point of view, industry-based & for self-improvement for stand different from the crowd. These digital marketing focus certificates are so much important to certify you as a Digital Marketing Expert. 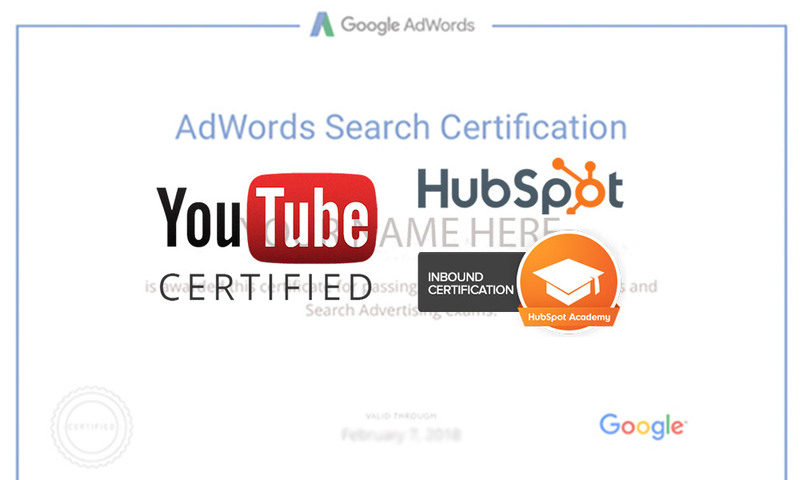 This certification is to test your knowledge of online advertising best practices and AdWords. 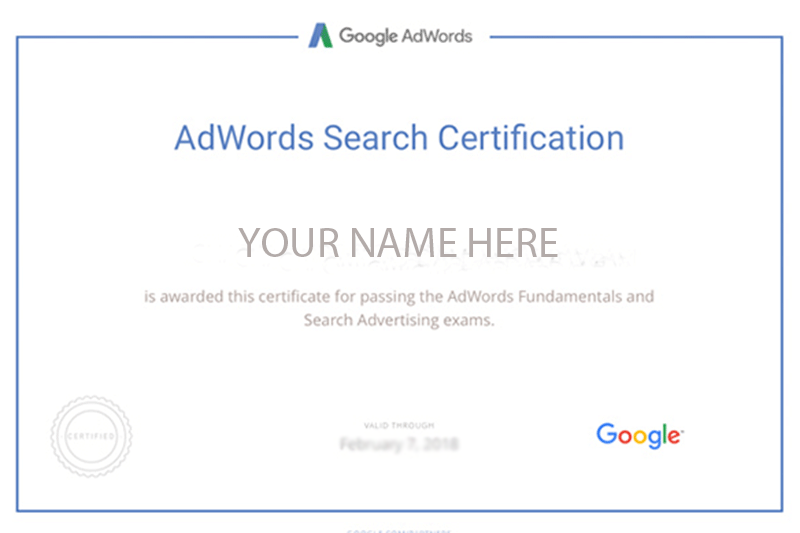 These are required to become AdWords certified Professional. The Certificates Exam covers basic to advanced concepts of creating a Merchant Center account and product data feed and creating & managing Shopping campaigns. 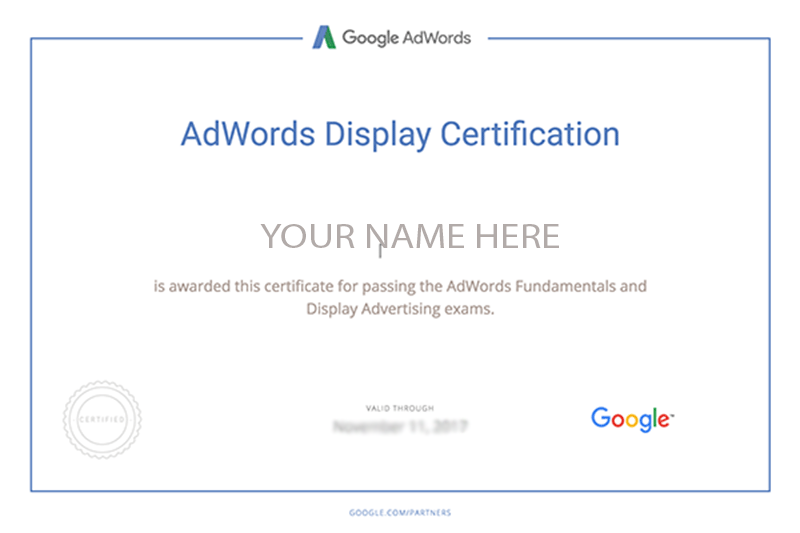 These Certificates ensure your expertise in creating, managing, measuring, and optimizing display ad campaigns. 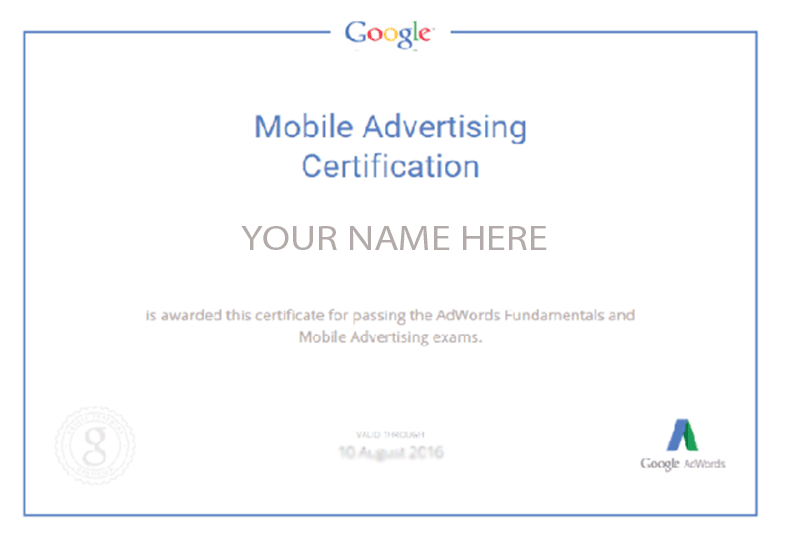 These Certificates ensure your expertise in mobile fundamentals, bidding and targeting strategies, mobile ads, and measurement solutions. 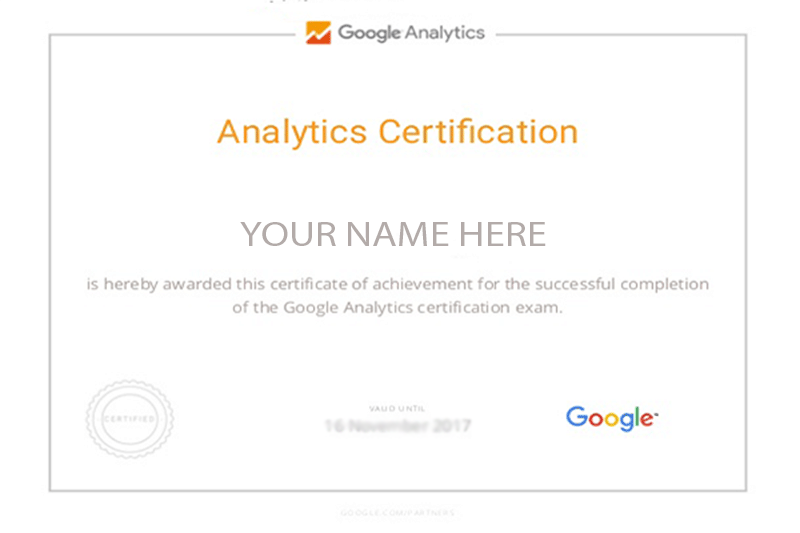 This certificate ensures your expertise in Google Analytics. 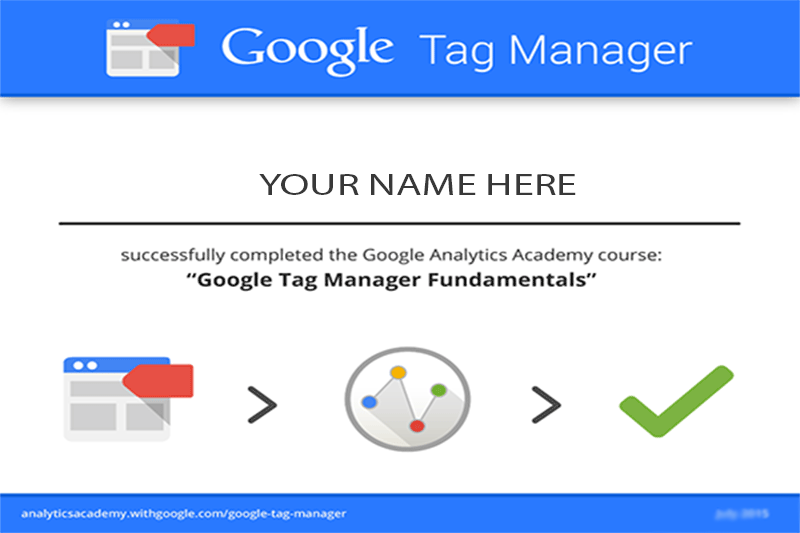 Google Tag Manager is a powerful, versatile tool that helps you track and manage your own website data. This certificate ensures your expertise in GTM. 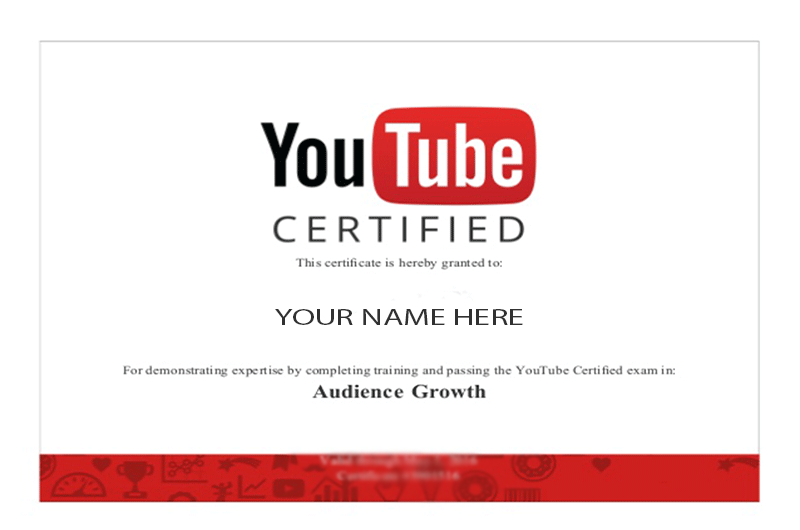 The YouTube Certified program is for youtube creators and professionals essential to be called as YouTube certified. 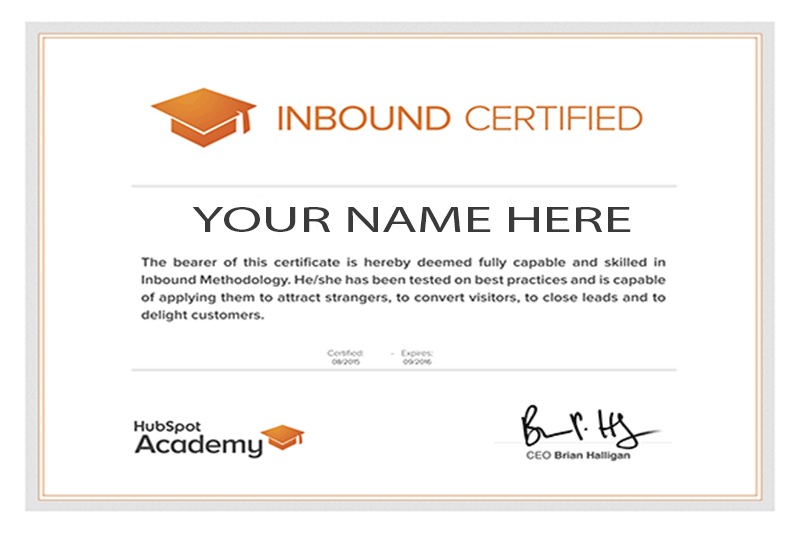 HubSpot Academy offers Inbound course & then after course completion you can go to take online exam & have your Certification. This course includes from attracting leads to engaging prospects, and delighting customers and so on. 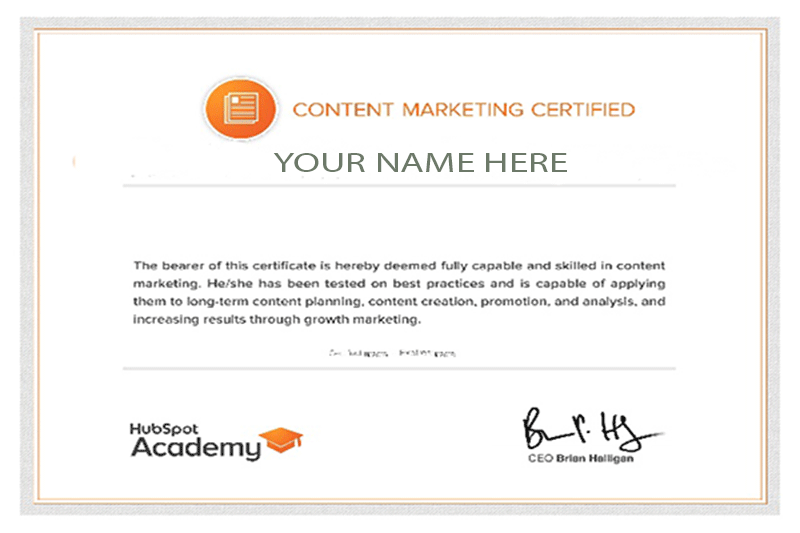 With Content Marketing Certification, you can be called as the content marketing expert & use skill to grow your business with the most relevant, SEO optimized content. 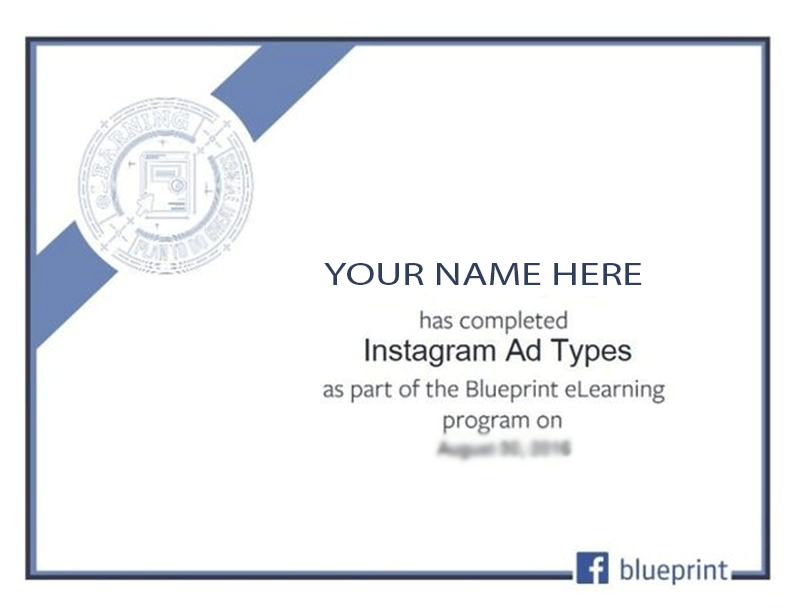 Facebook Blueprint Certification is Facebook official certificate most popular among Digital Marketers. 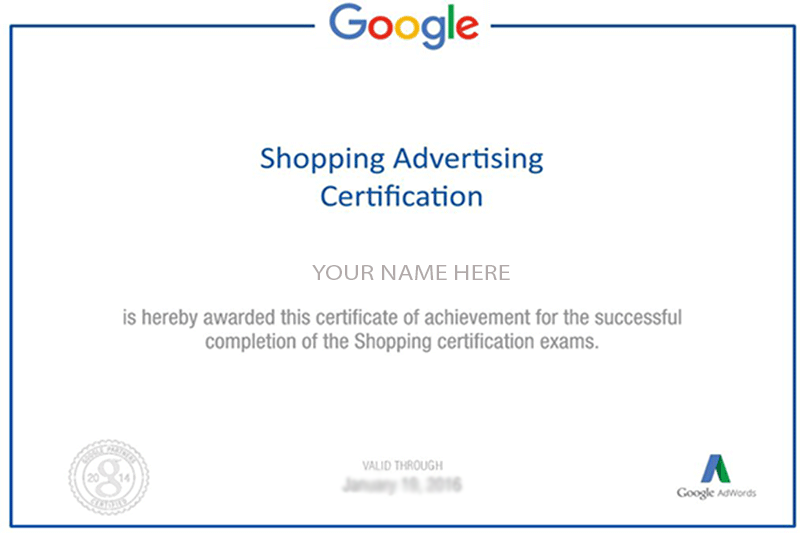 This certificate certified you as Facebook advertising expert. Bing is Microsoft Official Search Engine. 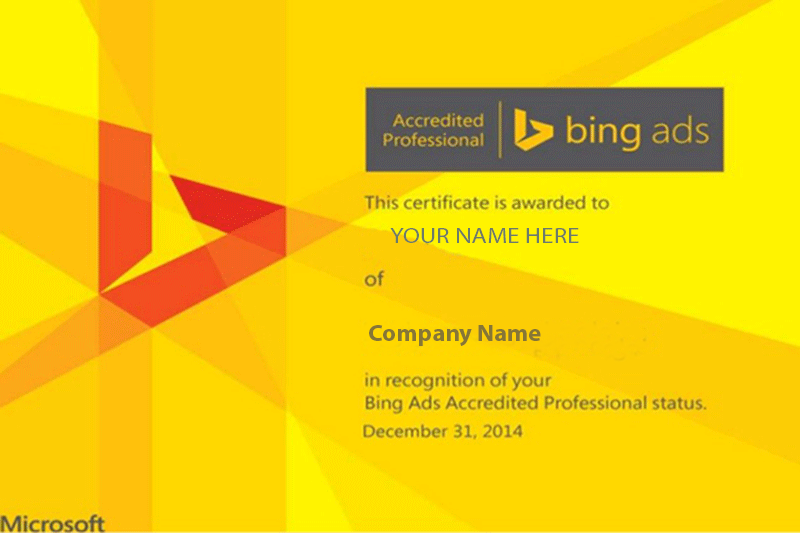 Bing Ads Accredited Professional (BAAP) ensure your expertise in running & managing bing ads. 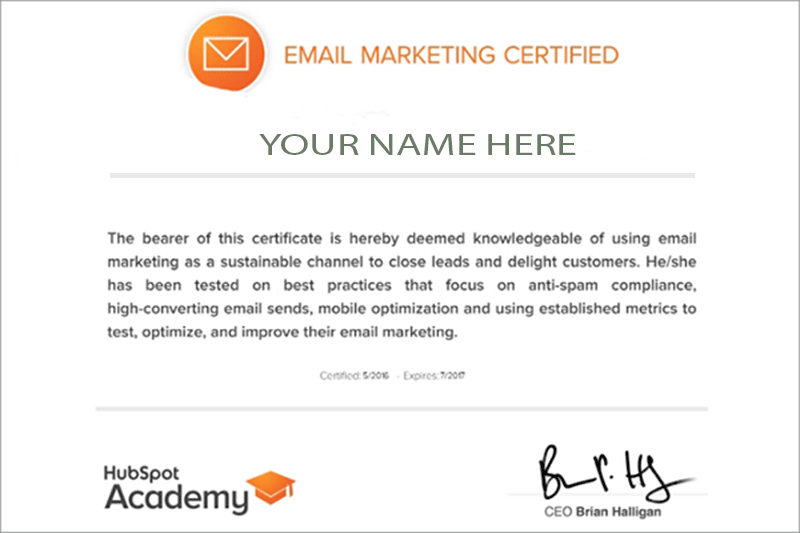 Become a Professional E-mail Marketing Expert with Hubspot's Free Email Marketing Certification Course.